My journey with Complex Regional Pain Syndrome started in 2008. I experienced incredible pain in my wrist and it was interfering with my ability to use my right arm. I went to the GP who asked my to see an orthopaedic surgeon who diagnosed ganglions. I was operated on to remove them only to have the pain increase post-op. I was referred to a hand specialist in Johannesburg, who after a number of tests, scans and shots of cortisone, operated on me removing 3cm of inflammation and prescribed 6 months of rest and rehab. I was on a cocktail of potent anti-inflammatories and pain killers, none of which made an iota of difference. My occupational therapist and physiotherapist worked tirelessly to regain my movement and try and relieve my pain. 2 years in I was in excruciating pain. I spent most days in bed or on the couch crying and was physically a wreck. I had managed to complete my degree by doing my exams orally as I could no longer write. I couldn’t do any of my hobbies aside from spending time with Texie, because my horse is so amazing and doesn’t need a rope or saddle to respond. I did my best to work but it was a disaster. By divine intervention, an associate referred us to a neurologist who took the time to understand my pain and booked me into hospital for two days of extensive testing. On the evening of the second night, Dr Mohomed came in. He is a specialist physician / rheumatologist and he diagnosed me with Complex Regional Pain Syndrome (CRPS) formerly known as RSDS. “CRPS/RSD is a chronic neuro-inflammatory disorder…CRPS occurs when the nervous system and the immune system malfunction as they respond to tissue damage from trauma. The nerves misfire, sending constant pain signals to the brain. 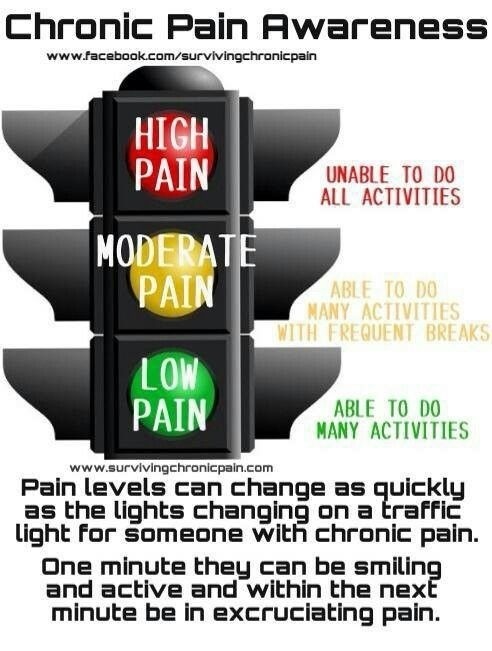 The level of pain is measured as one of the most severe on the McGill University Pain Scale. The persistent pain and disability associated with CRPS/RSD require coordinated, interdisciplinary, patient-centered care to achieve pain reduction/cessation and better function. It has been shown that early diagnosis is generally the key to better outcomes. However diagnosing CRPS/RSD is not a simple matter and many patients search for months or years for a definitive diagnosis. When I came into the care of Dr Y Mohomed, the relief was astonishing! Just to know what was wrong, that I wasn’t dying or crazy and someone in the medical world believed and understood me was an answer to prayer! Cymbalta 60mg once a day – around 7pm because it knocks me out and once asleep I can only really wake up 12 hours after I take eg: 7am. This is the most awesome drug, it has relieved my pain! It’s an anti-depressant which changes the chemical make-up of my brain (from which my pain emanates). It is generally effective so long as I don’t overuse my wrist, its effect diminishes when the barometric pressure shifts so I’m heavily affected by weather. Homeopathic Meds are essential, all the chemicals have harsh side effects: exhaustion, nausea, vomiting, headaches, dizziness etc and Dr Georgie Makris has managed to get rid of all of them through homeopathic medication and she even limits my use of the anti-inflams with drops. My biokineticist, Bryce Jackson, has created a programme that is ensuring I maintain what muscle strength and mobility I have as well as stabilising weak points. He works slowly and within my capabilities, extending them bit by bit, so as to avoid a flare-up of my CRPS. Charting my progress is very rewarding and it’s given me a sense of control and hope that I can prevent deterioration and restore what has been lost. It also keeps the rest of me fit and healthy. My psychologist helped me gain perspective and come to terms with needing to accept the help of others and share the burden. She is also a great resource to lean on when it feels like I’ve leaned on my friends enough, every time I lean on a friend it increases their worry about my condition and sometimes it helps to vent at someone else who has a bit more distance. Enjoying my hobbies has become critical. I love my horse and spending time in the field with him as well as with my dog at home. Grooming both of them calms me and does great rehab on my hands. They don’t need me to speak, they just know what I’m feeling and my horse in particular adjusts his behavior to compensate for my arm and my pain. He guards the arm for me and takes responsibility for me when I’m riding ensuring I don’t fall off. Reading, movies and audible books are such great distractions and when I’m having a good day, knitting, cross stitch, piano and drawing all form part of my rehab. Work wise, I have been limited to 4 hours a day, I regularly exceed this but over time my clients, driven predominately by my mum (and co-member / boss), have adjusted to extending my deadlines, having meetings at my house and tailoring how we work around my condition. I was so fortunate as to get a mini iPad in January 2013 and it has rocked my world. I can do SO much more work SO much easier and apps have also improved my life. Regular prayer, bible reading and soul searching have got me through the really tough times along with amazing friends and family. Having a support system that understands my needs and adjusts to my condition has been invaluable! I keep in touch with their lives through social media and instant messaging on days where talking or leaving the house is too much. I find reading medical journals, magazines, blogs, websites and twitterfeeds helps me feel active and part of a broader community. It keeps me in touch with progress is being made and not as alone with the problem. Sometimes others with the same problem phrase it differently to me, cast a new light on it or just allow me to empathise with them. Oh goodness, girl…. I had no idea this even existed 🙁 I mentioned you in the convo we started on Twitter — I’m serious, DM me if you want more info. I was skeptical for 6 months and I finally took the plunge at the end of December. Wow Kelly…I had no idea…you have gone through so much. You are amazing ??? As I read your story I thought to myself how similar our stories sound. I haven’t had much contact with anyone who has CRPS. We’re not alone.☺️Your story inspired me to be more active. You are so strong to be dealing with CRPS! I’m going to enjoy your blog. Thank you so much for taking the time to read my story. 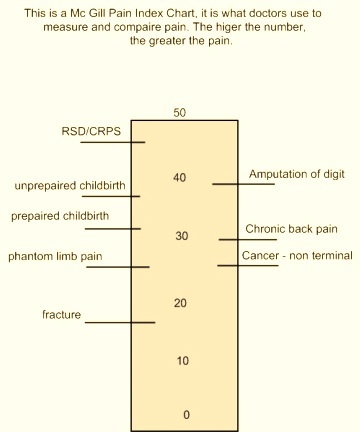 How long have you had CRPS? Indeed, we aren’t alone. Thank you for your kind words. Do you have a blog I can follow? Hoping you are having a good day today! Thank you for posting. I can relate to your journey and share an uncanny similarity with timeline and right upper extremity. It’s difficult to put into words such an odyssey and internal struggle yet I am glad to have camaraderie to learn from others wellness paths. Gentle hugs across the pond. Thank you so much for reading my story. It is so lovely to connect with those who are on the same journey. Sending hope for a good, low pain day, and gentle hugs!